The period covered by Arts:Search is 1916-1918. Available soon. Subtitled A Monthly for the Public Devoted to the Higher Ideals”, The Art World was published monthly from October 1916 to March 1918. It contained an eclectic range of articles on art in the broadest sense of the term, including fine, decorative and applied art, music, drama, and occasional articles on architecture. It also included book and exhibition reviews. 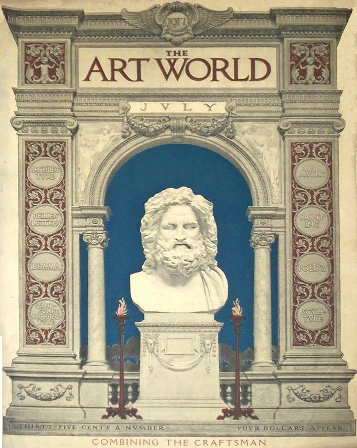 From the January 1917 issue The Art World incorporated Gustav Stickley’s magazine The Craftsman which had ceased publication the previous month.